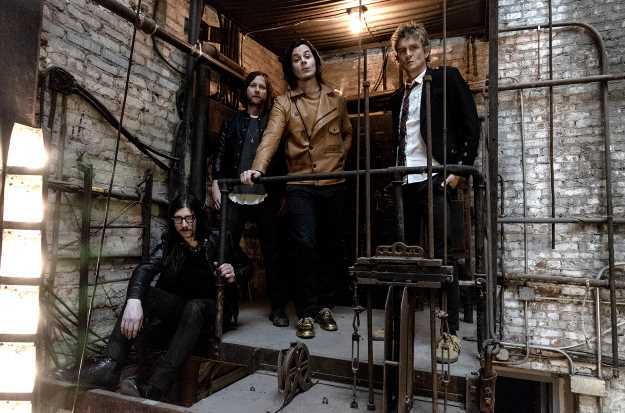 Jack White and Brendon Benson's project The Raconteurs are returning with a new album this year. The pair's first record together in a decade, 'Help Us Stranger', this June, and over the weekend they played their first live show in eight years. Last night (7th April), the quartet made their live comeback at Third Man Records' 10th anniversary concert in Nashville. As well as performing tracks from the new album, they dusted off classic 'Steady As She Goes' as well as a handful of covers. The supergroup will also be playing shows in Paris, Brussels, Cologne, and Berlin later this year, before heading on to Heartland, Orange Warsaw and Best Kept Secret festivals. View footage from the show and see their upcoming tour dates below.